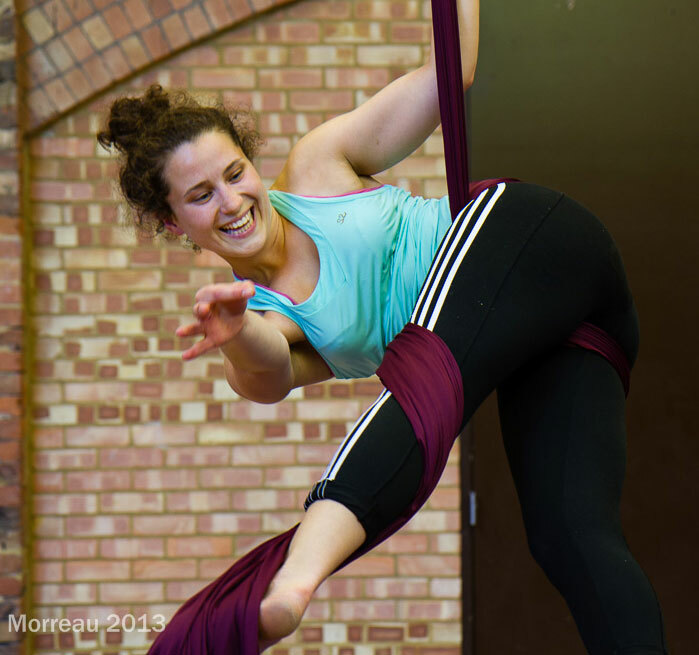 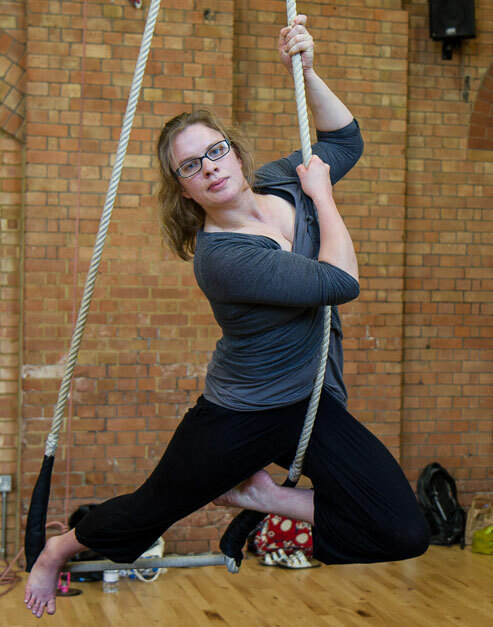 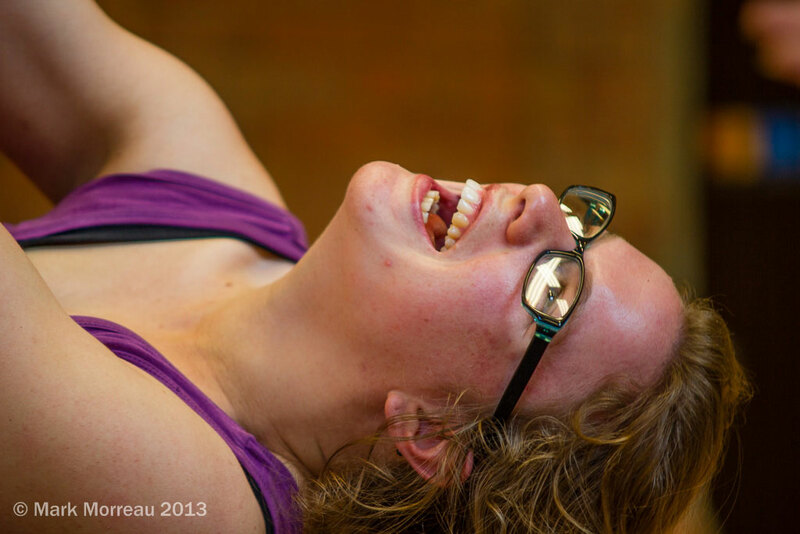 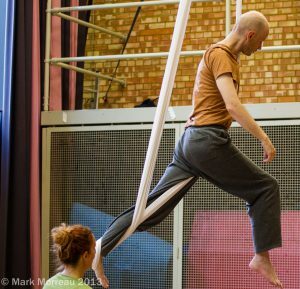 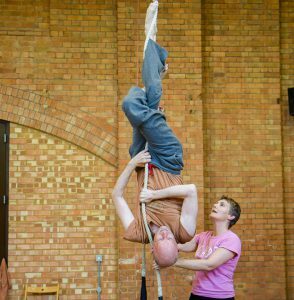 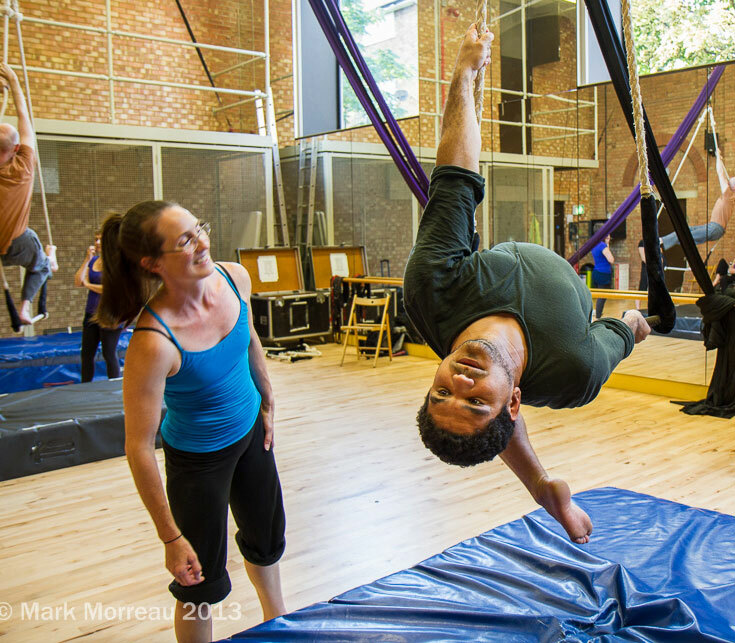 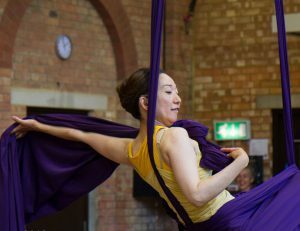 Last year in association with the Circus Space and support from the Arts Council of England, Gravity & Levity offered a week long aerial intensive for Deaf and disabled participants across 2 levels. 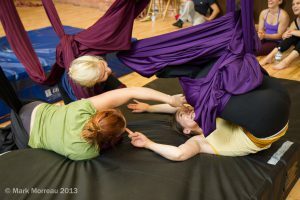 Session 1 was for participants with prior aerial experience all of whom participated in the Paralympic Opening ceremonies training and performances whilst session 2 was for participants who hadn’t participated in this training but wanted to either try out or improve their existing aerial skills. ‘The tutors were flexible & able to quickly adjust their teaching style to accommodate the individual requirements of the artist participating. 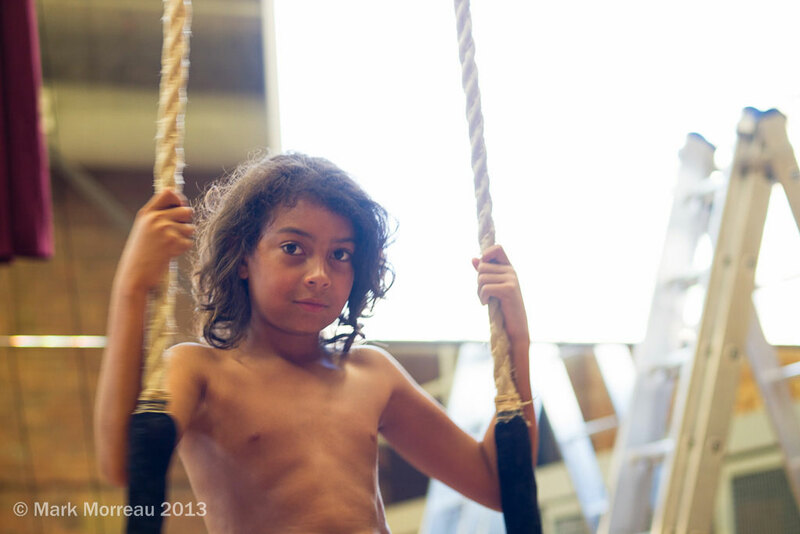 I found the week challenging for all the right reasons. 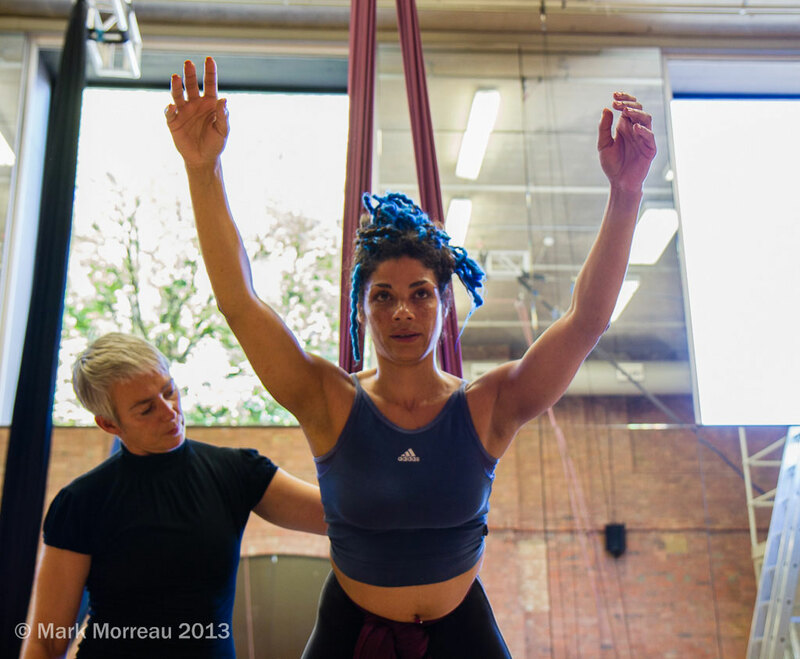 I felt my practise & technique was pushed to achieve a higher standard of aerial performance’. 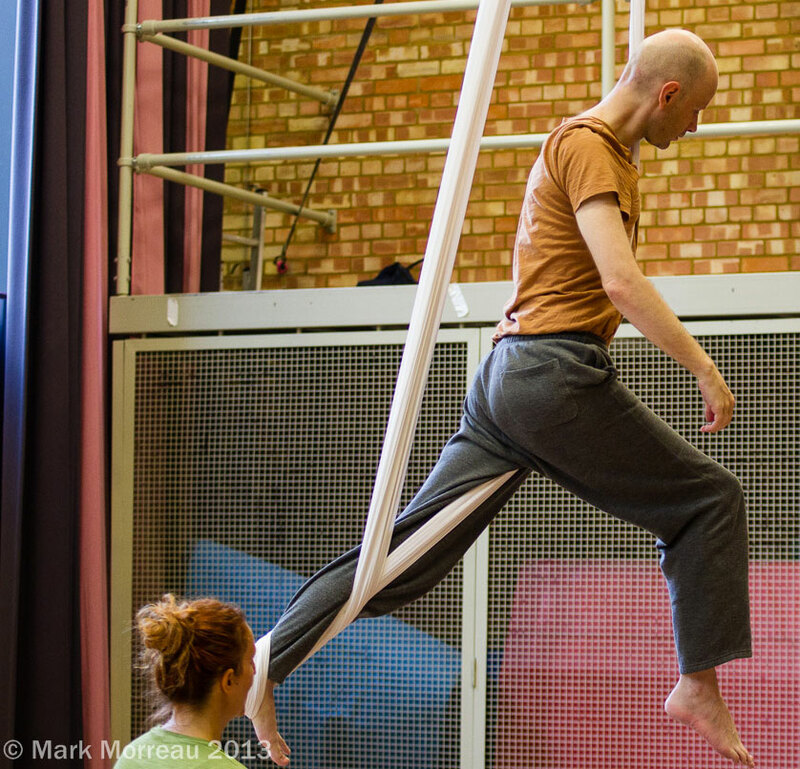 ‘I expected there would be some areas that I would not have been suitable for. I expected to sit out for a small percentage of the skills due to my disability. 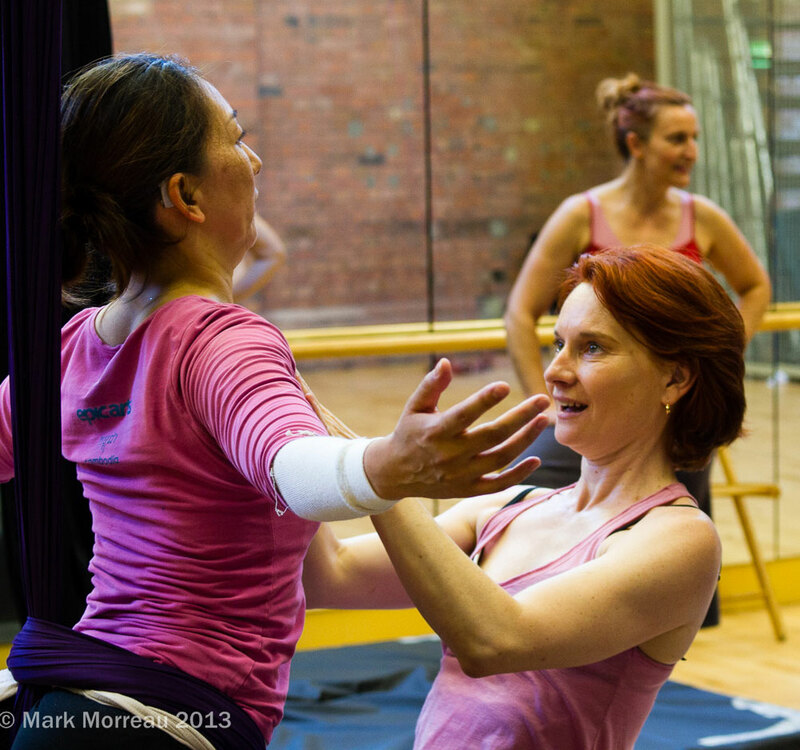 I was so wrong, nobody sat out, every skill was adapted for our ranges of movement. It exceeded my expectations & far exceeded my own beliefs of what I could achieve’. 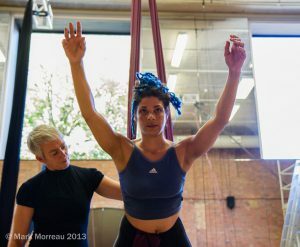 ‘As a result of the PALI (plus the initial POC training) I have just performed my first professional circus show for the Unexpected festival with Cirque Bijou’s integrated circus company ‘Extraordinary Bodies’. I used moves & techniques in the show I had just learned on the intensive week. 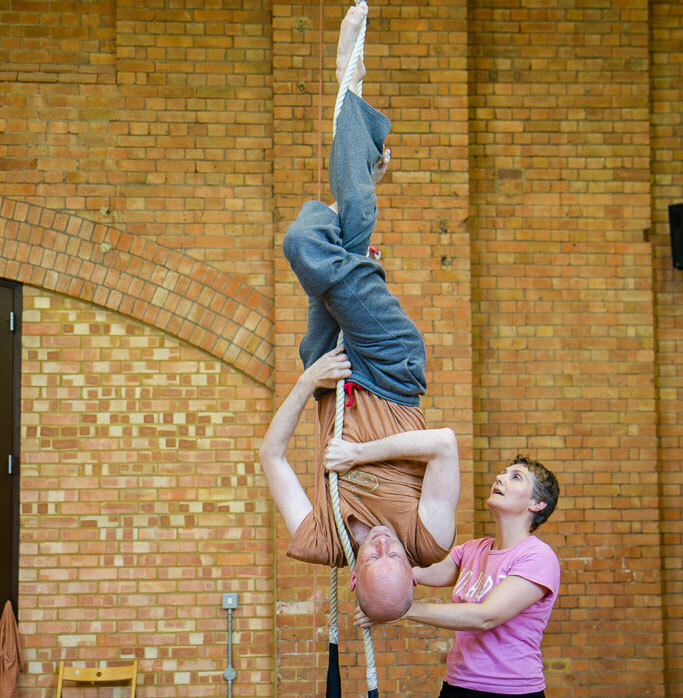 I could never have dreamt of such an amazing opportunity without these accessible circus training projects. Thank you for organising them & finding such amazing teachers’. 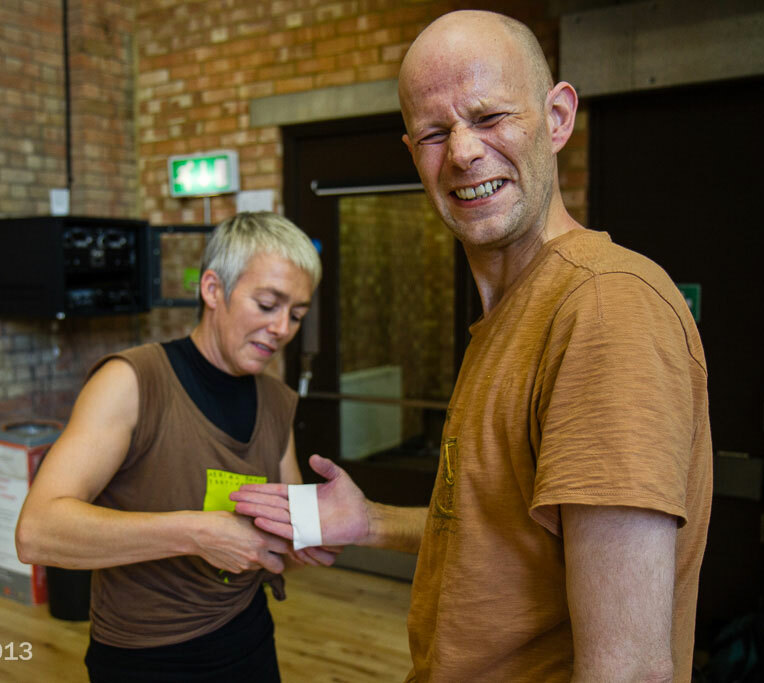 ‘I feel as if I have made tremendous progress during the workshop, not just in my ability to master the various pieces of equipment, but in terms of my confidence levels and desire to take charge of my own direction in life’. 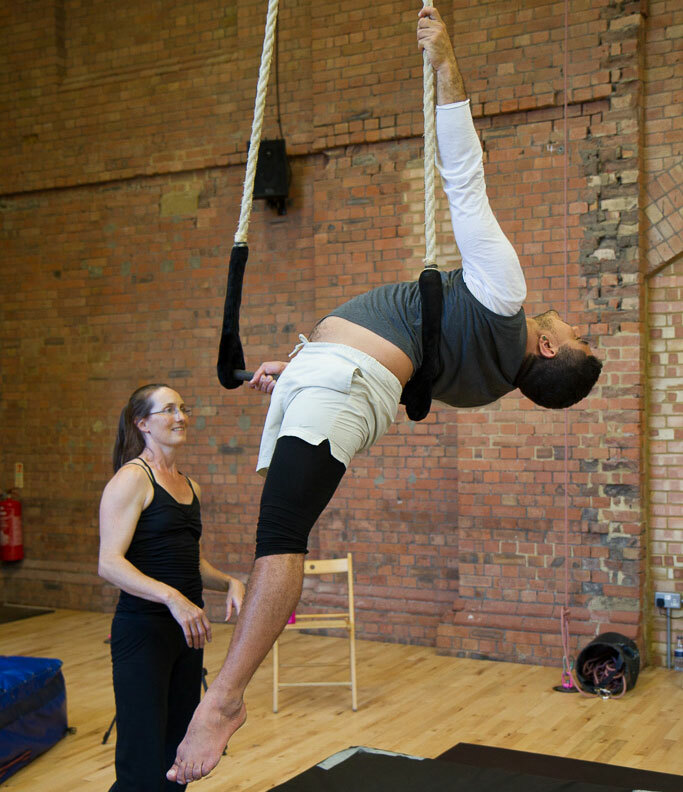 ‘My expectations were completely exceeded practically from the first day. 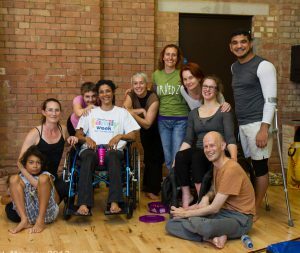 I also did not realise how much personal growth I would undergo and I must thank you for that from the bottom of my heart’. ‘The level of experience and expertise in the room was incredible and I feel very privileged to have been taught by such reputable tutors. 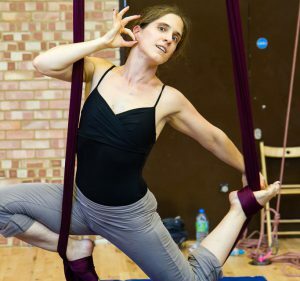 It has inspired me to find a weekly course and keep learning’.